You can share report by many ways with your colleague or senior member of your organization, like Schedule a report or give them report folder access. 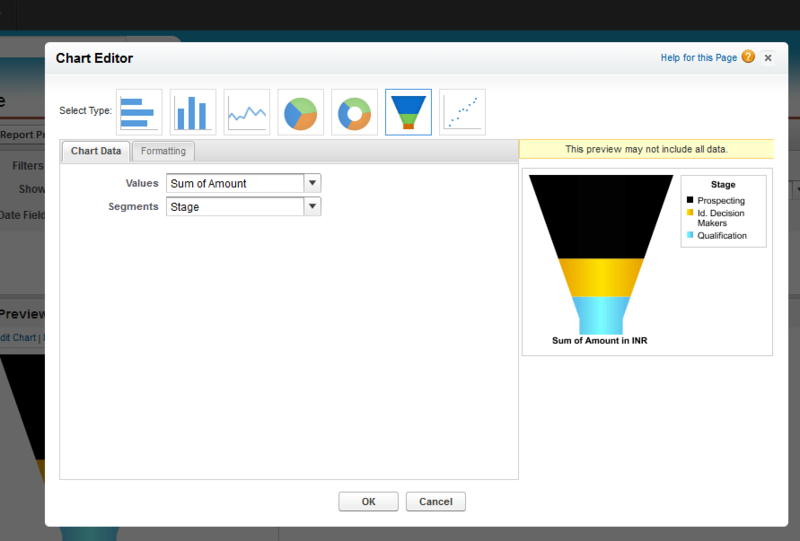 In winter’14 release Salesforce comes with one great feature called as “Report Charts”. By using it you can share report with your peers, colleague or senior in record detail page. Using this you can save time, they get the data they need right on their most-visited pages, without having to go to the Reports tab. You can embed “Report Charts” on standard or custom object detail page layout. 1) Share report folder with users, so they can see report chart on detail page layout. 2) Reports in personal report folders are unavailable to add to a page. 3) The source report format is Summary or Matrix. 4) Source report has a chart. 1) Click on Report tab and select report that you want to use in “Report Charts”. 2) Click on Customize and change report format to Summary or Matrix. 3) Then group the result, after that “Add Chart” Button will enable. 4) Click on “Add Chart” Button and add the chart as per your needs. 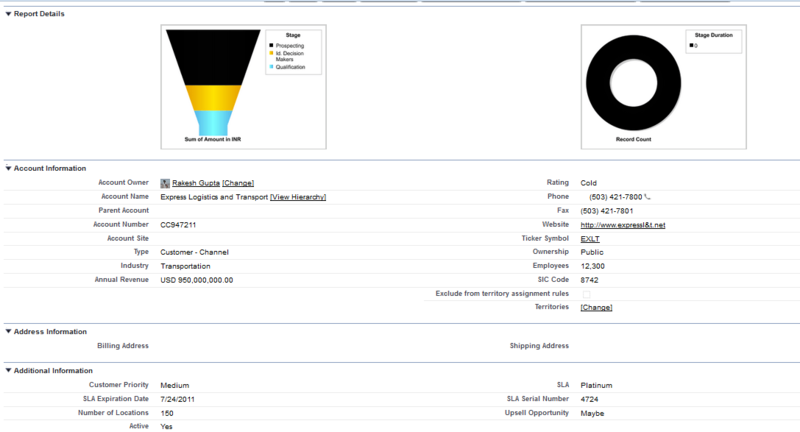 6) Here I want to use this report chart in Account detail page to show Opportunity Pipeline for that Account. 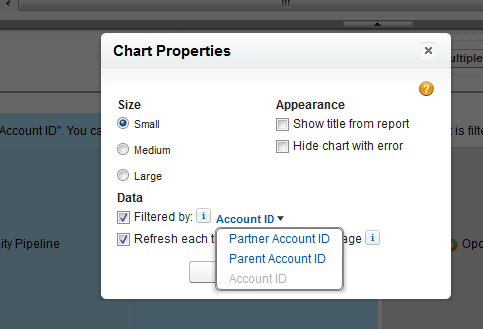 7) Go to the account page layout in which your want to add “Report Charts” and edit it. 8) Click Report Charts in the palette. 9) Drag the Section element onto the preview pan and place it top of the page layout, enter “Report Details” for the section name. 10) Drag and drop report chart onto the layout. to find and select the report chart. (You can add two if you want.) You can browse up to 200 recently viewed reports. But you only see reports that already have charts. 11) Click Save and go look at an Account record.It will look something like below screen. 1) Go to the page layout, In which you added “Report Chart“. 2) Edit the page layout. 3) Click on Properties link, as shown in below image. 4) It will Open a new window, Now you can edit chart properties like Size, Appearance and Data.You can also select “Refresh each time a user opens the page” option. 5) Click on OK and Save page layout. 1) You can have two report charts per page. 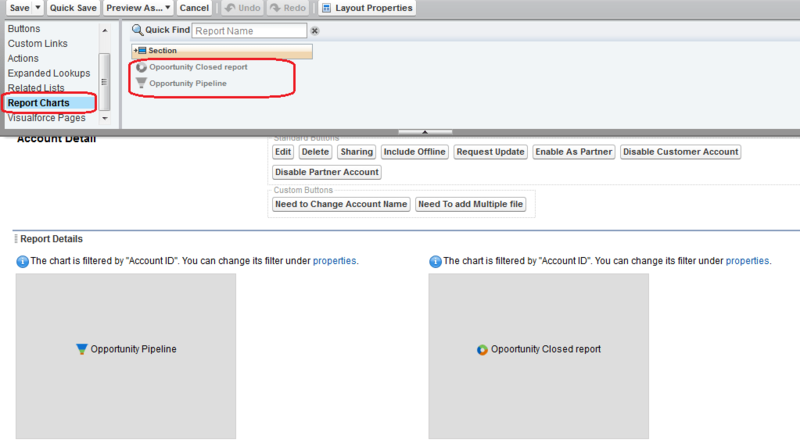 2) You can only add report charts from the enhanced page layout editor. The mini console and the original page layout editor are not supported. 3) On detail pages, users can refresh up to 100 report charts every 60 minutes. 4) Your organization can refresh up to 3,000 report charts every 60 minutes.